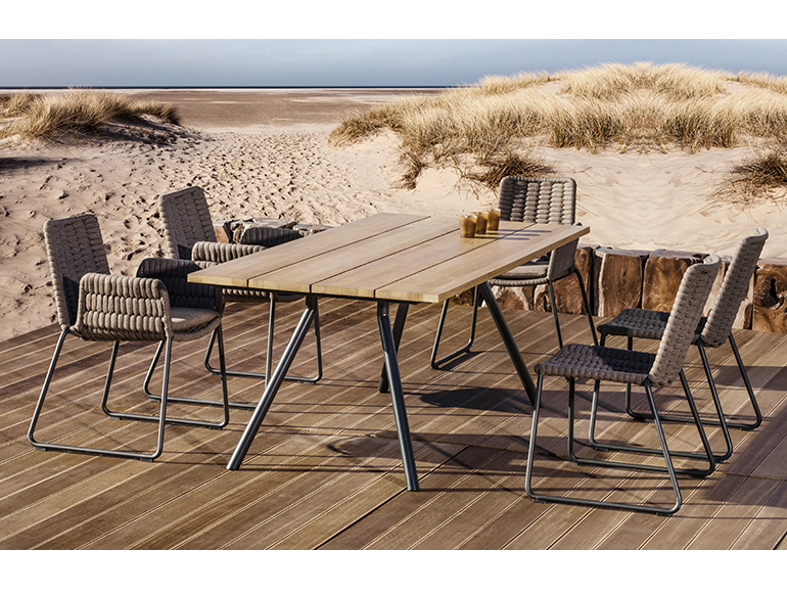 Wing is a new introduction to the Fischer Möbel dining portfolio. 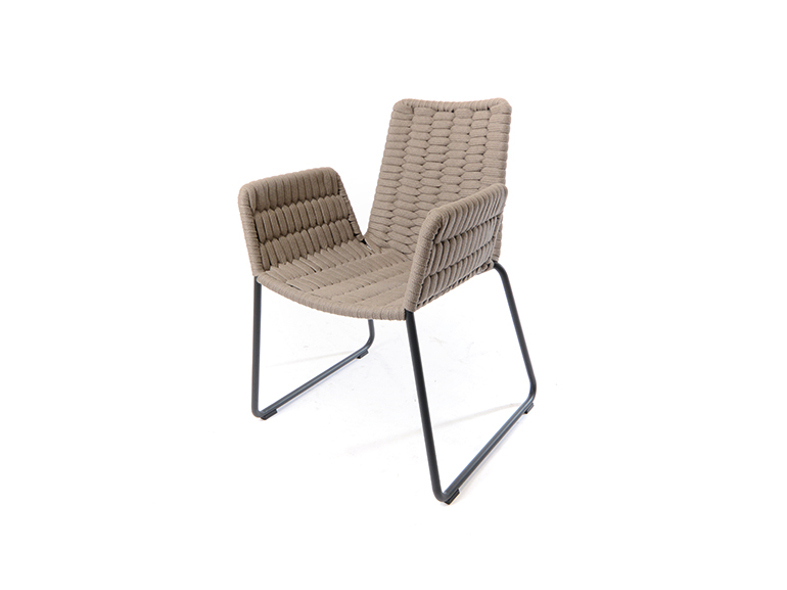 The splayed winged arms provides a generous seating area. 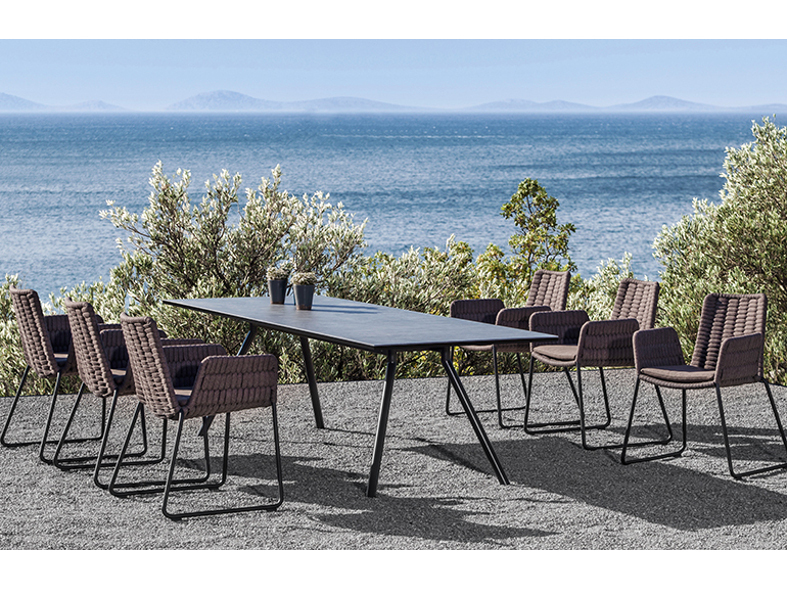 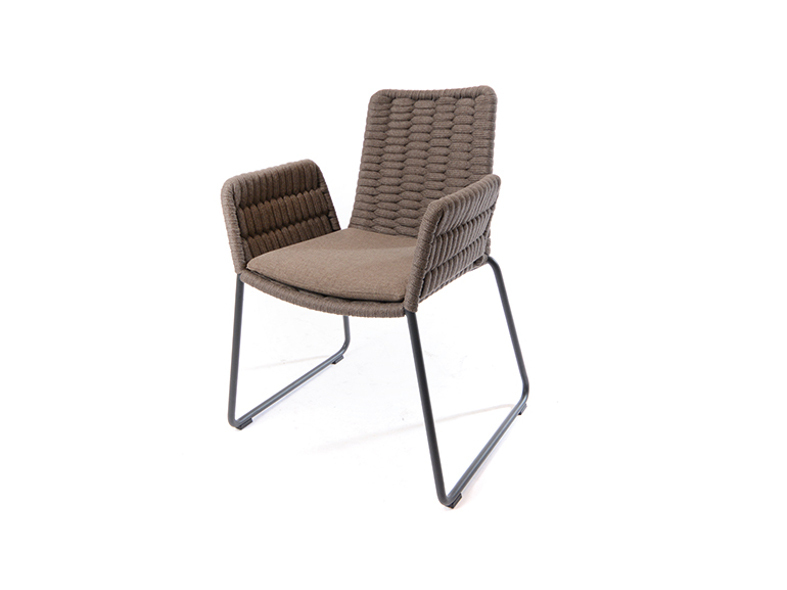 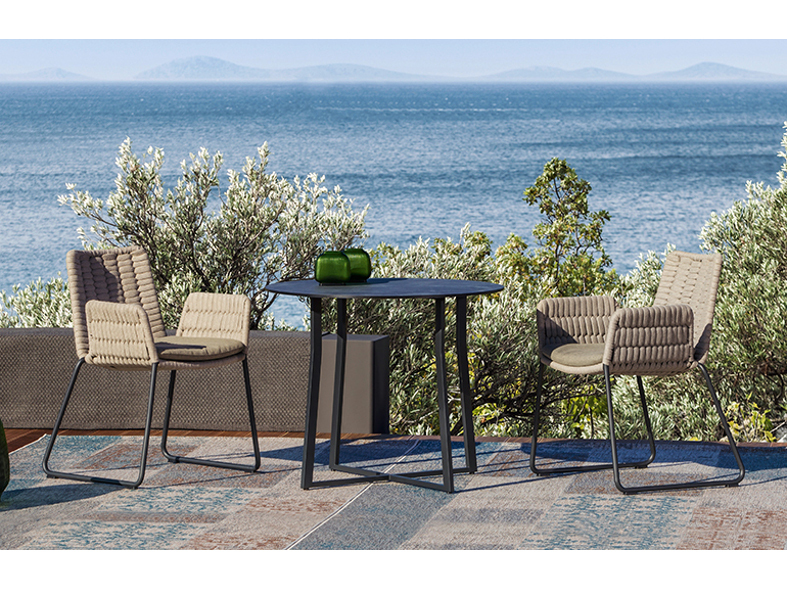 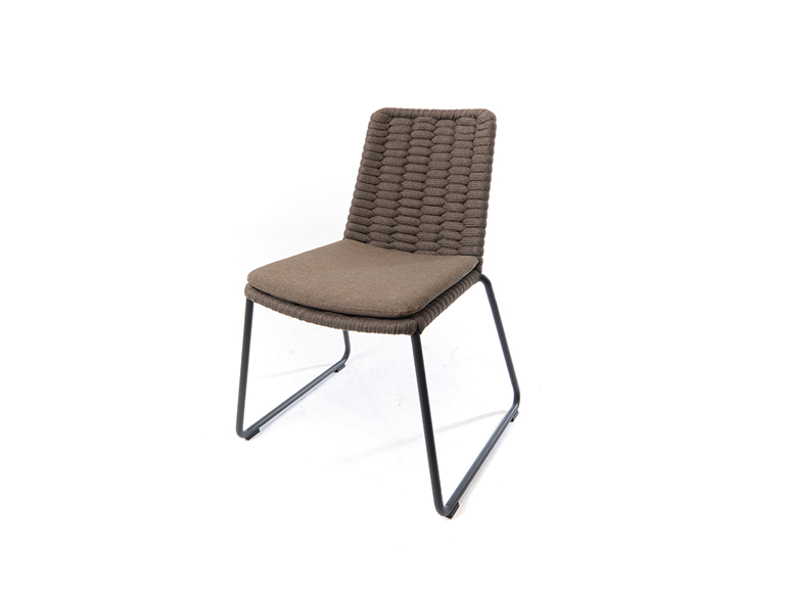 The powder-coated aluminium frame is covered by distinctively crafted all weather braid with an inner wide dimensionally stable synthetic strapping.